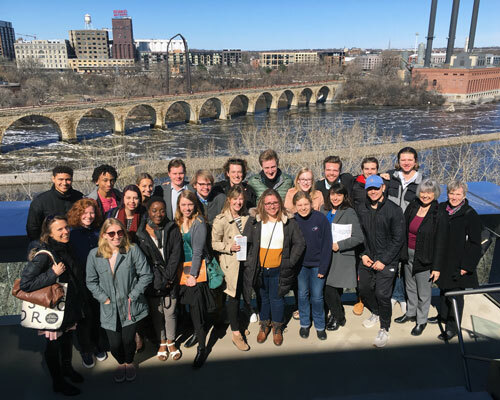 French students and faculty from CSB/SJU attended the Guthrie Theater's production of Cyrano de Bergerac. 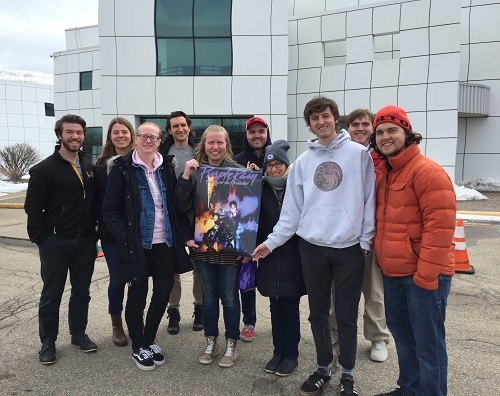 Dr. Kurt Hollender and students from GERM 342, Poetry in the German Tradition, visited pop star Prince’s Paisley Park studio and museum in Chanhassen, MN on Saturday, April 13. The philosophers Philippe Lacoue-Labarthe and Jean-Luc Nancy argue that the theory and practice of avant-garde communal living and the collaborative creation of art stems from Jena, Germany and the practices of the Romantics from around 1800. They further argue that these practices and theories remain our form of the artistic avant-garde to this day, even, as the GERM 342 students found, right here in Minnesota through Prince's championing of the artist’s autonomy and his collaboration with others. April 2019 FESTIVAL LYRIQUE is Recruiting! The French Cultural Events Assistants and the Languages and Cultures department will host the annual Festival Lyrique on April 25th, at 5pm, in Alumnae Hall, HCC. If you are interested in performing in French (e.g. poem, scene from a play, song, instrumental piece), please contact [email protected]. Merci! Venez nombreux! 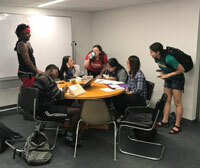 April 2019 CSB/SJU German Students Are Winning Scholarships! 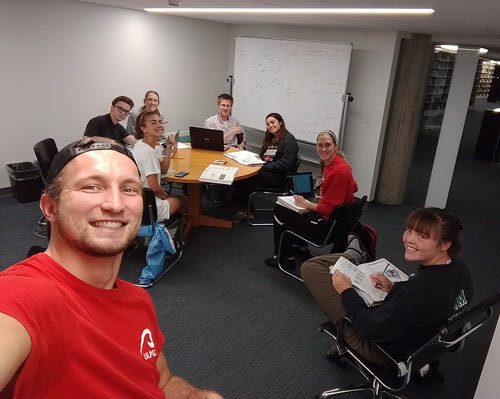 The German Studies Program is proud to announce that five CSB/SJU German learners have recieved Fulbright scholarships for 2019-2020. Click here for our list of current and past recipients. On March 23rd, Saturday, at 4:30pm, we will celebrate a mass in the French language--please join us! Fr. William Skudlarek, OSB, will preside and students of French will use their gifts in liturgical and music ministries. All are welcome! Venez nombreux! Almost 50 CSB/SJU students from the French Studies and German Studies programs attended the MN Opera production of “Silent Night” on November 18. The German Studies Program at CSB/SJU has been accepted as a new chapter in Delta Phi Alpha National German Honorary Society. DPA’s goal is to seek “to recognize excellence in the study of German and to provide an incentive for higher scholarship. The Society aims to promote the study of the German language, literature and civilization and endeavors to emphasize those aspects of German life and culture which are of universal value and which contribute to humanity's eternal search for peace and truth.” It began with the founding of the Alpha chapter at Wofford College in Spartanburg, SC in 1929 and has constituent chapters at 273 colleges and universities throughout the United States including Georgetown, Columbia, Middlebury, Stanford, Brigham Young, Purdue, Notre Dame, George Washington, Cornell and Rutgers. 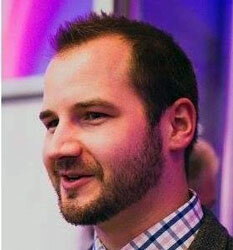 Robert Mevissen '09, who received his B.A. with majors in German, French & History, recently defended his Ph.D. dissertation with distinction in Modern European History at Georgetown University in Washington, D.C. He pursued research as a Fulbright Scholar in Vienna. His article based on his dissertation research, “Meandering Circumstances, Fluid Associations: Shaping Riverine Transformation in the Late Habsburg Monarchy,” appears in the Spring 2018 issue of the Austrian History Yearbook published by Cambridge University Press. We remember Robert well from his assistance and tutoring in our department and are pleased by his success and excited about his future prospects. French Mass will take place on Saturday, March 23rd at 4:30 PM in Sacred Heart Chapel. All are welcome! We are excited about our new World Languages Center and computer lab in the lower level of Alcuin! Watch for our new WLC website. Tutoring Calendar - To see more details about tutoring sessions, click the event name. These three French Program graduates are in France! 2017 Oscar nominations for French films! Omrit Archeological Field School in Israel -- Follow our students' blog. Who is the "Man of Many Languages"? Brain research shows the benefits of being multilingual. Which language is most in demand by global development recruiters? Hint: It's not Spanish.